Now more than ever, we rely on social media and peer connections to network, exchange best practices, and make business decisions. Consequently, developing a strong social media presence is critically important and LinkedIn is a virtual goldmine, offering endless opportunities and thousands of job listings in multiple specialties! ü How to get noticed among the 550+ million LinkedIn profiles; building a profile that attracts recruiters, employers, etc. ü How to effectively use LinkedIn’s Jobs function to identify relevant employment opportunities and land your dream job! Kelly Leonard is an author, speaker, trainer, award-winning CEO, and former Fortune 100 Vice President. 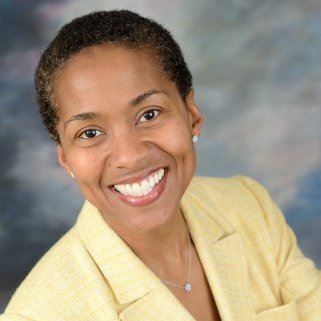 A corporate trainer with 25+ years serving government, non-profit, private and public industries, Kelly has an innate ability to connect with diverse audiences across disciplines. Prior to becoming CEO of Taylor-Leonard Corporation (T-LC), Kelly held leadership positions with GE Capital, Kaiser Permanente, and PriceWaterhouseCoopers. Currently, Kelly oversees T-LC's [LinkedIn] training and business development practices. Kelly has personally trained 6,500+ participants using her firm’s B.O.O.S.T.® strategy for LinkedIn. Using this same strategy, T-LC generated $500,000+ in new consulting revenue in their core IT competency (Customer Relationship Management) within the 1st 24 months of implementation.